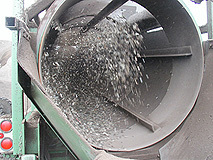 R.Alexander Associates - Environmental consulting company - composting and organics recycling. To develop any organics recycling facility, a team of individuals possessing various sets of skills is necessary. This team or company must have the ability to not only skillfully investigate and evaluate potential facility and program components, but must also possess the skills and practical experience to bring programs to fruition. 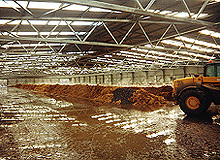 Whether developing a facility for composting, anaerobic digestion, drying and granulation/pelletization, chemical/alkaline stabilization, animal feed or bio-fuel production, working with a company which possesses not only the technical skills, but also the interpersonal and management skills necessary to fulfill client and project requirements is essential. These same skills can also be used to assist clients, in developing a land application, organics by-product management or reuse program, or optimize their current program. R. Alexander Associates, Inc.’s staff possesses an extensive and broad based background in organics management and reuse which is offered to its clients and allows for creative interdisciplinary solutions to complex challenges. These approaches can often solve short-term problems, allow for a more long-term sustainable success, reduce program costs and improve the overall management of a program or facility. R. Alexander Associates, Inc.’s staff understands the relationships and effects that one area of a facility, or component in a program, can have on another. We specialize in stream lining these components, and assisting them to work in harmony, to both optimize results and reduce costs. R. Alexander Associates, Inc. uses these same skills to assist program/facility management to forge strong relationships with regulators and the public. Often, consulting firms do not employ staff members that possess the required skill sets or practical experience to best evaluate program options, or bring projects through the evaluation and development stages, and onto full-scale operation. Employing these types of firms, often, does not provide the client with optimal results, and is typically more expensive. R. Alexander Associates, Inc. uses it’s over 25 years of experience, and extensive international contact structure to develop and manage teams of experts to provide its clients with optimum results, while reducing the overall consultancy costs. *requires Adobe Acrobat Reader to view.